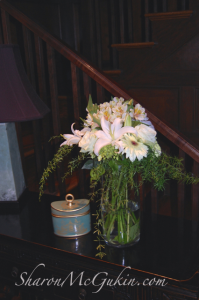 To quickly add natural beauty to a room, simply add a few fresh flower faces to your favorite vases in special places. Enjoy impressing friends and family with your flower-savvy talents and celebrate life with flowers! What are the special places in your home that guests see when visiting? 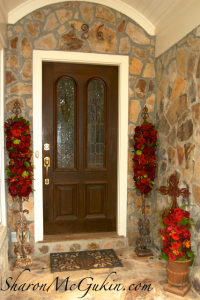 Greet your guests with flowers. Don’t forget the guest powder room! Flowers add life to a room. Choose vase color that will accent room color rather than just blend in. 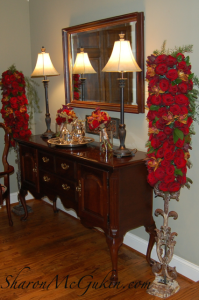 Keep vases clean and easily accessible for quick, spur of the moment designs! 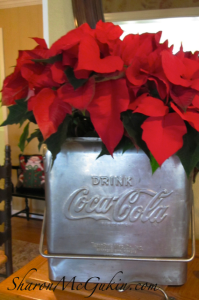 Set a theme and carry it throughout the house. What is your floral signature? What colors and shapes do you love? Do you prefer formal or informal styles? Choose items that reflect your interests. Choose flowers based on local availability in that season. What are your resources for flowers? What matters to you – visual impact or flower longevity? Create a floral toolbox and keep it handy for designing quick arrangements. Questions? ‘Ask an Expert’ at sharonmcgukin.com.